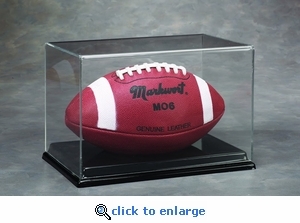 Single regulation size football, rectangular display case with crystal clear acrylic dome and black formed base. Easily stackable. Visible from all angles. Desk mount. Product weight approx. 2.60 lbs. Product dimensions approx. 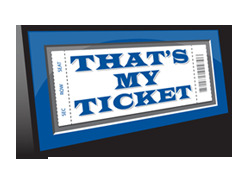 12.375"L x 8.375"W x 8.50"H. Shipping weight approx. 5.00 lbs. Shipping dimensions 14-3/4" x 11" x 12-1/2".